Citation: Bhattacharjee B, Bhattacharya S, Ghosh M, et al. Cryptococcal meningitis presented with irreversible binocular blindness in an HIV infected patient- A case report. Ophthalmol Case Rep. 2018;2(1):11-14. Cryptococcal meningitis is a major HIV-related opportunistic infection, occurring when CD4 counts are below 100. Ocular involvement is seen with up to 30% of patients with cryptococcal meningitis. A young HIV infected male was admitted to in patient department of School of Tropical Medicine, Calcutta with complaints of headache for two months with dimness of vision for 10 days. Examination showed decreased visual acuity on both eyes, neck rigidity with right sided extensor plantar reflex, external ophthalmoplegia in the form of left 6th cranial nerve palsy, bilaterally absent light reflex, power 5/5 in all four limbs with normal tone and right eye hypermetropic tilted disc, left eye normal on ophthalmoscopy. India Ink preparation of CSF showed encapsulated budding yeast cells. Fungal culture grows Cryptococcus sp. CSF CRAG (cryptococcal antigen measured by immunochromatographic method) was positive in high titre (1:2560). MRI of brain revealed multiple tiny hypo to isointense lesions on T1 and hyperintense lesions on T2, T2 flair sequences are seen in basal ganglia, peri & paraventricular white matter and centrum semi-ovale on both sides. He was managed with injection amphotericin B deoxycholate along with fluconazole as per WHO recommendations and treatment related complications were managed accordingly. Visual acuity was followed in the entire treatment period but vision did not improve, but GCS improved to 15/15, there was no headache, no neck rigidity. Repeat MRI of brain after three weeks of treatment showed absence of above mentioned lesions. After 12 months of follow up the patient had no perception of light in both eyes and no wave in VEP study of both eyes suggestive of permanent visual loss following cryptococcal meningitis. So, cryptococcal meningitis after completion of treatment may have irreversible visual loss. Cryptococcus is a fungus present commonly soil. It gets into body through inhalation of dust or dried bird droppings. Meningitis is the most common illness caused by Cryptococcus. Cryptococcus can also infect the skin, lungs, or other parts of the body. The risk of cryptococcal infection is highest when CD4 counts are below 100 in an HIV infected person. Cryptococcal meningitis is a major HIV-related opportunistic infection, especially in the developing world. The first signs of meningitis include fever, fatigue, a stiff neck, headache, nausea and vomiting, confusion, blurred vision or sensitivity to bright light. Neurocryptococcosis usually presents as diffuse meningoencephalitis and ocular involvement is usually a secondary phenomenon, seen in up to 30% of patients with cryptococcal meningitis . The mechanism of visual complications associated with cryptococcal meningitis is not very clear. Elevated cerebrospinal fluid (CSF) pressure may be associated with blindness, and it is recommended that intracranial pressure (ICP) is to be decreased in order to prevent and reverse this. However, there is case report that cast doubt on the hypothesis that elevated ICP alone causes vision loss . A 35 years old male was admitted to in patient department of School of tropical Medicine, Calcutta with complaints of headache for two months with dimness of vision for 10 days. It was associated with low grade fever for few days. It was not associated with convulsion, altered mental status, limb weakness, slurred speech, head trauma, drug intake, bladder & bowel incontinence. No history of cough, shortness of breath, pain in abdomen, burning sensation during micturition, vomiting, loose stools. No history of ATD intake or contact of person having Koch’s, no history of blood transfusion. History of high risk sexual behaviour present. He is alcoholic and smoker. Examination showed GCS 13/15, BP 140/80 mm of Hg, pulse 71/min, respiratory rate 20/min, temperature 37.4⁰C, absent pallor, icterus, cyanosis, clubbing, oedema, no organomegaly, no lymphadenopathy. There were no obvious skin changes, no lump in body, no neck swelling neither any rash nor any oral or genital ulcer. There was decreased visual acuity on both eyes, neck rigidity with right sided extensor plantar reflex, external ophthalmoplegia in the form of left 6th cranial nerve palsy, bilaterally absent light reflex, power 5/5 in all four limbs with normal tone. No sensory loss or cerebellar signs. Ophthalmoscopy revealed right eye hypermetropic tilted disc, left eye normal. HIV ELISA test was reactive and CD4 count was 68 cells/μl. A lumbar puncture wsas done immediately and found to be having high CSF pressure (150 cm of H2O). CSF study showed Cell count 180/cmm (Lymphocytes 75%, Mononuclear cells 20%, neutrophils 5%), protein 121 mg/ dl, glucose 4.89 mg/dl, Adenosine deaminase 4.2 U/l. India Ink preparation of CSF showed encapsulated budding yeast cells (Figure 1). Fungal culture grows Cryptococcus sp. CSF CRAG (cryptococcal antigen measured by immunochromatographic method) was positive in high titre (1:2560). CSF and serum VDRL were non-reactive. HSV DNA PCR (CSF)- negative. CSF gene Xpert MTB/Rif- not detected. CSF gram’s stain and Culture- no growth and no acid-fast bacilli. Complete hemogram showed total leucocyte count 9300/cmm (Neutrophil 70%, Lymphocyte 25%, Monocyte 4%, Eosinophil 1%, Basophil 0%), Hb% 10.3 gm/dl, Hct 30.9, MCV 82.2, MCH 27.4, MCHC 33.3, Platelet count 4.6x103 /μl, ESR 52 mm/hr. Biochemical tests revealed fasting plasma glucose 94 mg/dl, total bilirubin 0.3 mg/dl, total protein 6.7 mg/dl, albumin 2.6 mg/dl, globulin 4.1 mg/dl, SGOT 56 IU/L, SGPT 92 IU/L, ALP 219 IU/L, Serum sodium 139 meq/l, serum potassium 3.5 meq/l, urea 34 mg/dl, creatinine 1.2 mg/dl, triglyceride 234 mg/dl, total cholesterol 271 mg/dl, HDL 60 mg/dl, LDL 171 mg/dl, VLDL 40 mg/ dl. Malaria parasite was not found in peripheral smear. Urine routine examination revealed pus cells 1-2 /hpf, albumin- absent, RBC- absent, Cast- absent, Sugar- nil. Urine and blood culture both showed no growth. X-ray chest was within normal limits. Ultrasonography of whole abdomen revealed hepatomegaly, no ascites, no retroperitoneal lymph nodes. Electrocardiogram showed no abnormality. CT scan of brain showed cerebral subcortical white matter ischaemic lesions. MRI of brain revealed multiple tiny hypo to isointense lesions on T1 and hyperintense lesions on T2, T2 flair sequences are seen in basal ganglia, peri & paraventricular white matter and centrum semiovale on both sides (Figure 2). There were associated multiple thin walled ring lesions which enhances upon contrast. Diffusion weighted imaging does not show any restrictions of diffusion within the lesions. Cysticercus IGG and Toxoplasma IGG were negative. VEP study in both eyes showed no wave in both eyes suggestive of bilateral visual pathway dysfunction. The patient was diagnosed as having cryptococcal meningitis and immediately started on injection amphotericin B deoxycholate (1 mg/kg/day) along with high dose fluconazole (800 mg/day) as per WHO recommendations. During amphotericin B therapy serum potassium and urea, creatinine was monitored on every alternate day. Therapeutic CSF drainage done on alternate day to reduce intracranial pressure. Repeat CSF study was done after 7th dose of amphotericin B. CSF study showed 150 cells/ cmm, all lymphocytes, sugar- 24 mg/dl, protein- 100 mg/dl, India Ink preparation- encapsulated budding yeast cells, repeat culture grows Cryptococcus sp. After 10th dose of injection amphotericin B patient developed raised creatinine (1.7 mg/ dl) and hypokalaemia (2.6 meq/L). So, amphotericin B was given on alternate days after that and proper hydration was done before each injection. Hypokalaemia was corrected in next 3 days with IV and oral replacements. Upon treatment modification, his creatinine normalised to 1.0 mg/dl after 5 days. Repeat CSF study was done after 14th dose of injection amphotericin B which showed 58 cells/cmm, lymphocytes 90%, neutrophils 10%, protein-88 mg/dl, sugar- 30 mg/dl, India Ink preparation- encapsulated budding yeast cells and fungal culture was still positive. So, induction phase of amphotericin B was extended & fluconazole dose was reduced to 400 mg/day. After 25th dose of injection amphotericin B, CSF fungal culture was negative & CSF shows 47 cells/cmm, all lymphocytes, sugar- 45 mg/dl, protein- 55 mg/dl, India Ink preparation was negative. After obtaining sterile CSF amphotericin B was stopped and fluconazole 400 mg/day was continued. Visual acuity was followed in the entire treatment period but vision did not improve, but GCS improved to 15/15, there was no headache, no neck rigidity. Repeat MRI of brain after three weeks of treatment showed absence of above mentioned lesions. He was put on antiretroviral therapy (tenofovir + lamivudine + efavirenz) after 7 days of completion of amphotericin B. He was followed for another 7 days after starting ART for signs of IRIS (immune reconstitution inflammatory syndrome). And he was discharged in a stable state with visual impairment with fluconazole 400 mg/day and cotrimoxazole prophylaxis with advice to follow up in outpatient department. On follow up after 6 weeks the patient had GCS of 15/15, can walk normally, but repeat VEP study in both eyes showed no wave in both eyes suggestive of bilateral visual pathway dysfunction (Figure 3). Patient was put on fluconazole 200 mg/day after 8 weeks of consolidation therapy. After 12 months of follow up the patient had no perception of light in both eyes and no wave in VEP study of both eyes suggestive of permanent visual loss following cryptococcal meningitis. 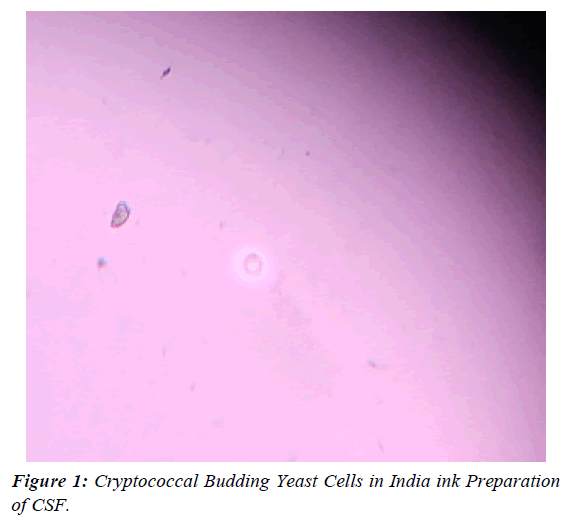 Figure 1: Cryptococcal Budding Yeast Cells in India ink Preparation of CSF. 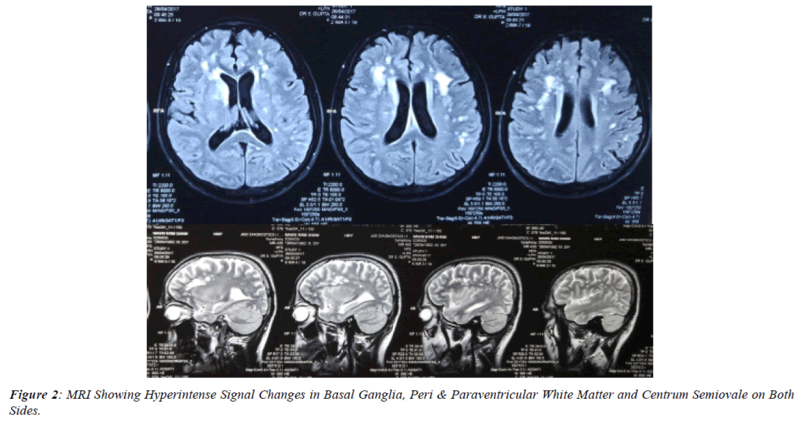 Figure 2: MRI Showing Hyperintense Signal Changes in Basal Ganglia, Peri & Paraventricular White Matter and Centrum Semiovale on Both Sides. Figure 3: Follow Up MRI Showed No Changes. There are 2 distinct forms of vision loss in meningitis due to Cryptococcus: rapid loss that is suggestive of optic neuritis and a slower and progressive loss due to the effects of increased intracranial pressure . Our patient had slower vision loss with a raised opening CSF pressure but no papilledema on fundoscopy, suggesting associated probable optic neuritis or cerebral vasculitis or arachnoiditis. Tjia et al. showed several cases of cryptococcal meningitis having bilateral and unilateral 6th and 7th cranial nerve palsy with patient ultimately recovered alive . Mahadevan et al. showed one cryptococcal meningitis having multiple cranial nerve palsy in the form of unilateral 3rd, 12th and bilateral 6th, 7th & 10th nerve palsy with patient ultimately did not survive . Our patient had unilateral 6th cranial nerve palsy and survived with visual morbidity. Ofner et al. showed one case of cryptococcal meningitis 6 months after completion of therapy having no perception of lights in both eyes . Cohen et al. presented one case with visual morbidity after 6 months of therapy up to finger counting with ultimately patient did not survive . De Socio et al. reported one case with complete recovery of vision 2 days after therapy . Our reported case had no perception of light in both eyes 12 months after completion of therapy. So, cryptococcal meningitis after completion of treatment may have irreversible visual loss. None funded Article. Patient was investigated and managed in a government hospital and he did not bear the cost. We thank Dr. Moumita Ghosh for assistance with lumbar puncture which was done repeatedly. We would also like to show our gratitude to the Dr. Bibhuti Saha, Dr. Arindam Naskar for sharing their pearls of wisdom with us during this case management. Kestelyn P, Taelman H, Bogaerts J, et al. Ophthalmic manifestations of infections with Cryptococcus neoformans in patients with the acquired immunodeficiency syndrome. Am J Ophthalmol. 1993;15:116(6):721-7. Rex JH, Larsen RA, Dismukes WE, et al. Catastrophic visual loss due to Cryptococcus neoformans meningitis. Medicine (Baltimore) 1993;72(4):207-24. Mahadevan A, Kumar A, Santosh V, et al. Multiple cranial nerve involvement in cryptococcal meningitis. Ann Indian Acad Neurol. 2000;3(1):33-7. Ofner S Baker RS. Visual loss in cryptococcal meningitis. J Clin Neuroophthalmol. 1987;7(1):45-8. Cohen DB, Glasgow, BJ. Bilateral optic nerve cryptococcosis in sudden blindness in patients with acquired immune deficiency syndrome. Ophthalmology. 1993;100(11):1689-94. De Socio GV, Bernini L, Menduno P, et al. Monolateral visual loss due to cryptococcal meningitis. J Int Assoc Physicians AIDS Care (Chic). 2011;10(2):76-8.